Wow, I was trolling the bins in a local used media store last weekend in search of the two TV series I’d ever want on DVD and came across this delightful object. I had no idea that this album had existed in anything except for the import UK edition of 1989, much less this superior US pressing with two previously unreleased tracks dating back from, yow… 2000! I had no idea that Buddha Records had existed past 1979, much less their acquiring the rights to Iggy’s trilogy of Arista albums after his initial solo trilogy for RCA. 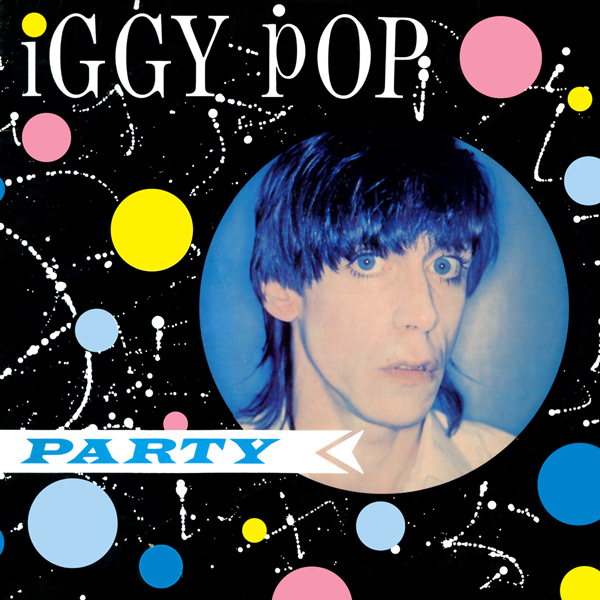 This album holds a special place in my heart, because it was my entrée to the wonderful world of Iggy Pop as a contemporary album that I recall hearing tracks from on WPRK-FM a decent amount on the 1981 airwaves. Cuts like “Pumping For Jill” and “Bang Bang” got sizable airplay at the time. I’ve written extensively about my thoughts on the magnificent “Bang Bang” before, so let’s discuss the rest of the album. The album had split production between Thom Panunzio for the bulk of it, and three tracks that Arista had roped Monkemeister Tommy Boyce in to polish to a more commercial sheen. Panunzio, was at this time, engineering the debut album by Holly + The Italians; a longtime favorite album for me, so his credentials were already established. Bandleader Ivan Kral was by this time cut free from The Patti Smith Group, so he entered into this album situation by joining up with Pop during the sessions for “Soldier,” his previous album. All of the album’s original tracks were Kral/Pop compositions. Kral also bought another element to the album that gives it much of its distinction; his pals The Uptown Horns, who were just starting out in their long career as A-list sidemen. Kral was friends with the horn section, who were a neighborhood secret at the time, and they lend the material here a seriously upbeat vibe. “Sincerity” has a similar feel to The Clash’s “The Card Cheat” with the warmth of the horns almost overshadowing the glib and cynical song. “Houston Is Hot Tonight” almost attains a 60s soul vibe due to the presence of the horn section. “Pumping For Jill” is distinguished by a modal guitar line running through it not unlike the one Fripp brought to “Heroes” a few years earlier. The sustained chords that drift through the song in slow-motion create a languid vibe that’s enhanced by the matter-of-fact, declamatory delivery by Iggy on the vocals. In a just world, this was a hit single, bit alas, that only got released in Scandinavia in 1981! One of the least likely Iggy Pop songs has got to be “Happy Man.” The fast paced beat and horns take this into ska territory and that’s about as trendy as I can imagine Iggy getting in 1981! As for “Bang Bang,” that track was simply a masterpiece of dance rock given every ounce [and then some] of sonic polish by Boyce’s inventive arrangement. The last two tracks on the album proper seemed like afterthoughts with Iggy covering two 60s pop classics. Both come across well. Hearing Iggy croon “Sea Of Love” makes all the sense in the world, even if his heart wasn’t in it. His personality manages to overcome his take on The Outsider’s “Time Won’t Let Me” and make it fully his own. I don’t think Pop could churn out faceless product even if he had a gun to his head. Finally, the two bonus tracks veer off into further stylistic territory than the album as a whole. “Speak To Me” sports acoustic guitar [?!] and almost packs country vibes! It won’t sate those waiting for “Death trip 2” but I’m convinced Iggy could sing any genre and get it across with all of his persona intact.The last track has Iggy muscling in on Sinatra territory as he covered “One For My Baby,” the most iconic Sinatra cut for fans of a certain stripe. My mind, she was blown! His performance here was as intimate as possible, with no overstatement of any kind. He managed to make Sinatra sound overblown in comparison and the vibe of the recording astonishingly presaged the Angelo Badalamenti/David Lynch vibe half a decade early! The fantastic, fatalistic sax player here was uncredited, but any fans of Sinatra and Pop owe it to themselves to buy this remaster if only for this track! It hurts that there is not a whole album of this caliber. This entry was posted in Record Review and tagged 1981, 2001, CD reissue, DLX RM, Iggy pop, Ivan Kral, SInatra. Bookmark the permalink. What are the two tv series you were looking for? Tim – “Slings + Arrows” and “Sherlock.” As it happened, Mr. K’s had season one of “Sherlock” and the complete boxed set of “Slings + Arrows” used for my buying pleasure. I rarely spend precious entertainment dollars for video; that money is so much better invested in music, your best entertainment value! But these series have repaid my ardent interest in spades. “Sherlock” is simply cracking good entertainment of a very high caliber. Better than most films, but “Slings + Arrows” was a complete work of art. The first TV series I’d seen that could join my pantheon of the holy three favorite TV series of all time: “The Prisoner,” “Batman ,” and “SCTV.” I have two of those three on DVD in my Record Cell. Word has it that the legal swamp that has until now prevented “Batman” from being exploited on home video for over half of my lifespan has finally been drained, with the series to appear on DVD this year. Depending on cost, it’s on my radar for potential purchase.